In March 2017, the future of Clearview with FHWA was still murky. The FHWA response to the public comment period had not yet been released and SEGD Fellow, Don Meeker, was hopeful that the data he and his team had collected to combat the decision in combination with pushback from state highway engineers would have a positive impact. Meeker remarked at the time, “At the June 2016 AASHTO-SCOTE meeting, there was a full 50-state condemnation of the FHWA decision, which was affirmed in November 2016, when the AASHTO Board of Directors voted to have the FHWA rescind the rescission.” In December, the FHWA opened the action to public comment through January 27, 2017. In the event that the FHWA did not reconsider its rescission, some of the Meeker team’s long-term goals for Clearview were to be significantly impacted. This includes a systematic approach to sign format and design. Using Clearview the goal is to address dysfunctional sign clutter, thereby improving readability, increasing safety and promoting aesthetic highways and streetscapes. On March 28, 2018, the FHWA issued a memorandum entitled “MUTCD—Interim Approval for Use of Clearview Font for Positive Contrast Legends on Guide Signs (IA-5)-REINSTATEMENT,” wherein they effectively rolled back the January 25, 2016 rescission of the 2004-dated conditional approval of the use of the Clearview typeface. The 2016 rescission cited safety concerns and licensing fees, referencing only three of dozens of studies on use of the typeface. The decision specifically made mention of a 2006 study “Evaluation of the Clearview Font for Negative Contrast Traffic Signs,” despite the interim approval being for positive contrast signs. However, the document clarifies that Clearview would still be an acceptable alternative to FHWA Standard Alphabets for community wayfinding purposes. It also stated that existing signs stay in place as long as they were in serviceable condition. The status is still limited to positive contrast use. “We are back to where we were 27 months ago,” says Meeker. “The real challenge now is to go beyond the current status to deal with key issues for cities and suburbs such as a research and systems-based approach to traffic control signing, with the primary focus being Vision Zero efforts.” Vision Zero, which began as a safety initiative in Sweden, is now a multi-national road traffic safety project that aims to achieve a road system without fatalities or serious injuries. The next step for his team, Meeker says, will be to help recruit university research teams to study how viewers read, process and react to mixed case in negative contrast on regulatory signs in city settings with a specific focus on signing for cyclists. Learning how format, panel and type size can become systematically ordered and standardized for more readable messaging will also be a critical, though complex effort. The federal reversal may focus attention on three major studies including a multi-year analysis of implemented safety improvements from Western Michigan University, a study of glance readability from MIT and a negative contrast legibility study from Penn State. All of these, reference enhanced readability and support planned work to address the urban streetscape. The Clearview system was developed by Donald Meeker, FSEGD, Meeker & Associates, Chris O’Hara, Meeker & Associates, and James Montalbano, Terminal Design, and evolved over 24 years of user research studies. In 2004, the FHWA issued an interim approval for use of Clearview. The font artwork and full rights were provided to the FHWA as part of the interim approval. 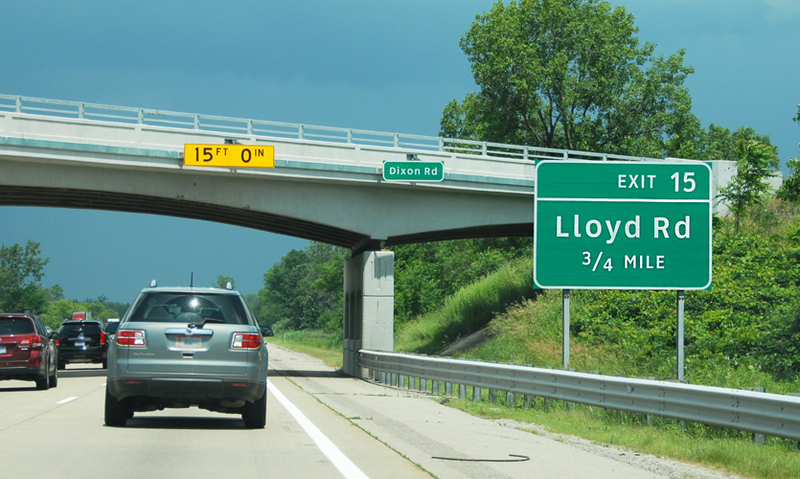 Nearly 20 state highway departments had adopted Clearview for their new highway signage at the time of the rescission in 2016 and additional states were also in disagreement with the FHWA’s decision to rescind. Members of the experiential graphic design community had strong feelings about the abrupt termination of the use of Clearview, positing that the justification offered by the FHWA was weak. Questions were raised about intellectual property and the administration’s willingness to pay for use of the font, but both Highway Gothic and Clearview require at least one license per state.